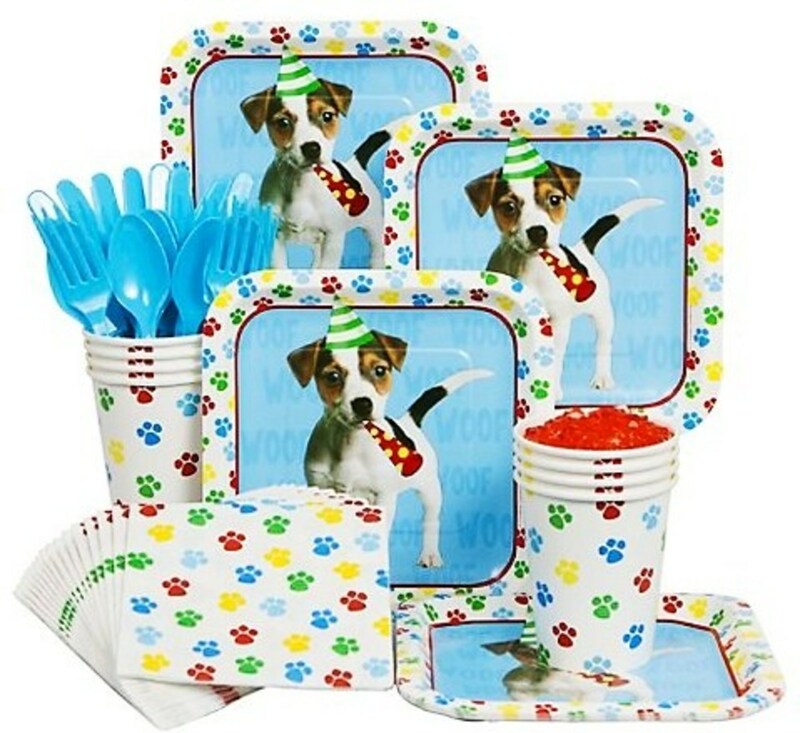 These puppy dog party supplies were released after my daughter's party and are just as cute! 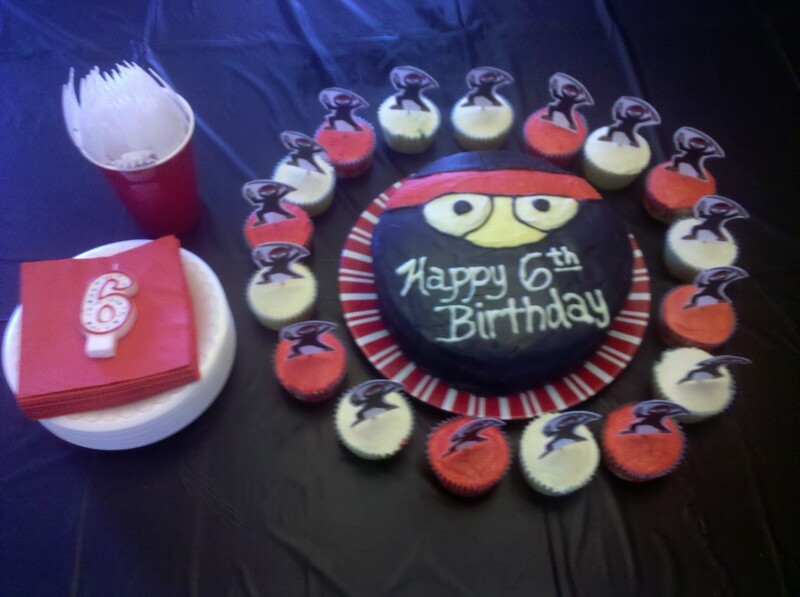 This would be another great partyware option for your celebration. 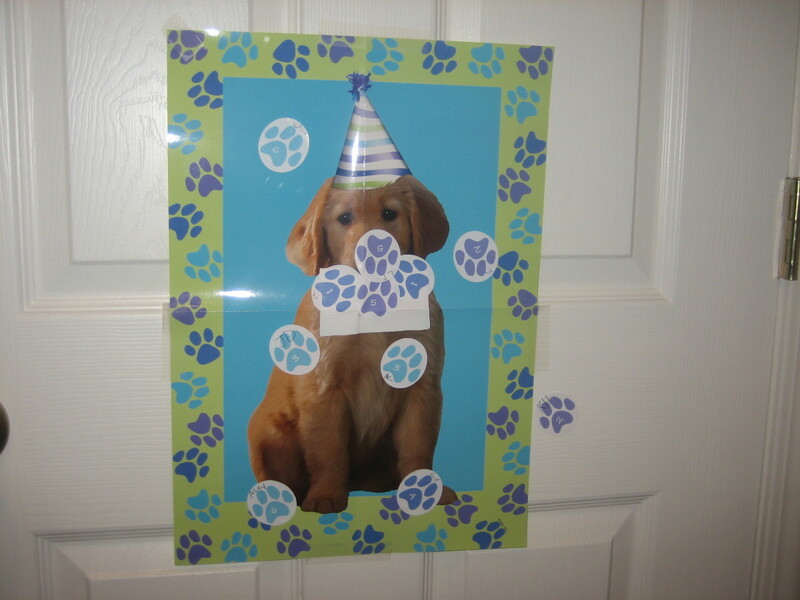 My daughter chose a Puppy Dog theme party for her 7th birthday celebration. The party was held at our home and we had 17 guests. Yes, 17! Like all birthday parties I host, the planning began 2 months before the party date. That may be way too early to start planning for most, but I think it really helps the entire process move a lot smoother. If you wait too long to begin your party planning, things start getting rushed and that is when the stress buiids. 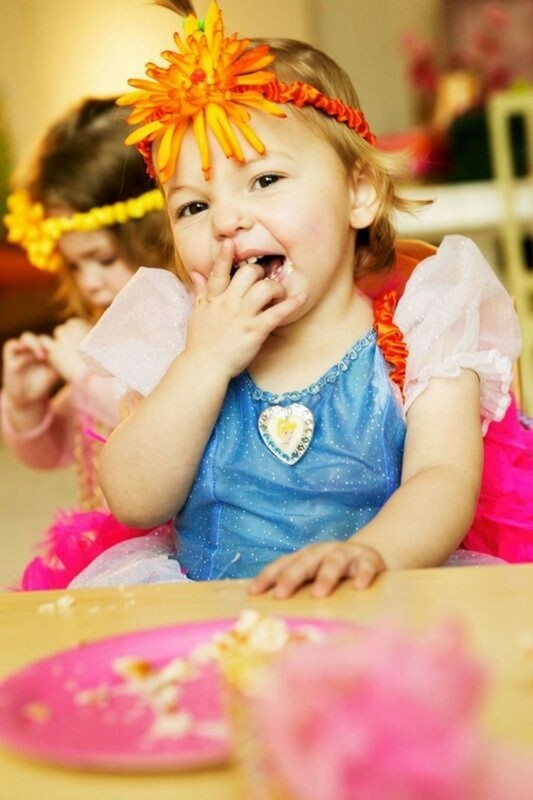 And, birthday parties are supposed to be fun, not stressful. 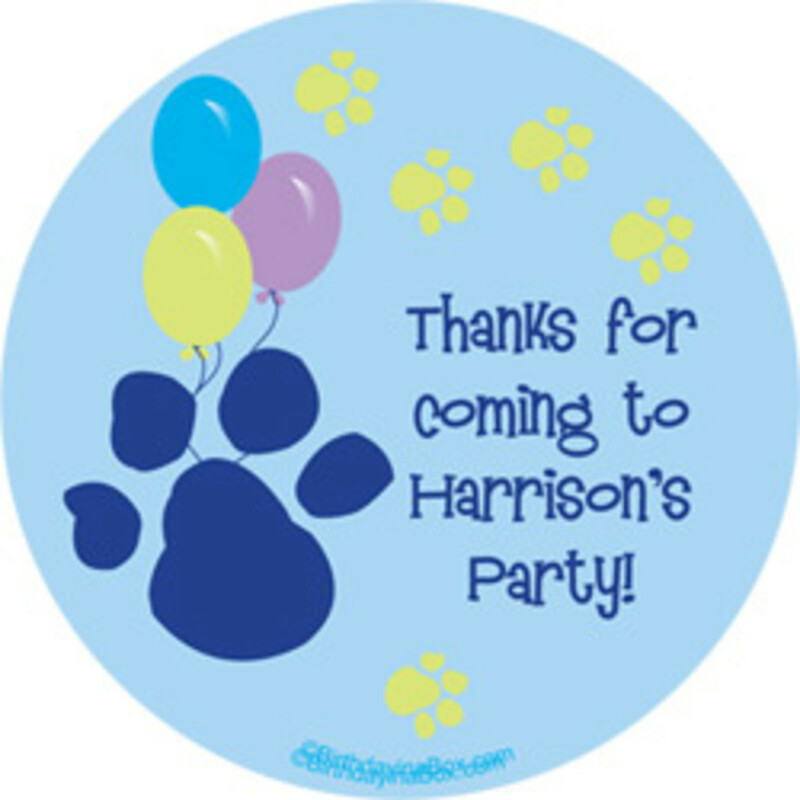 This page features all of my daughter's puppy dog party supplies and ideas including personalized invitations, partyware, custom party favors, dog bone birthday cake, dog bone cookies, party favor bags, puppy balloons, decorations, puppy dog party bingo and a fun party pinata. 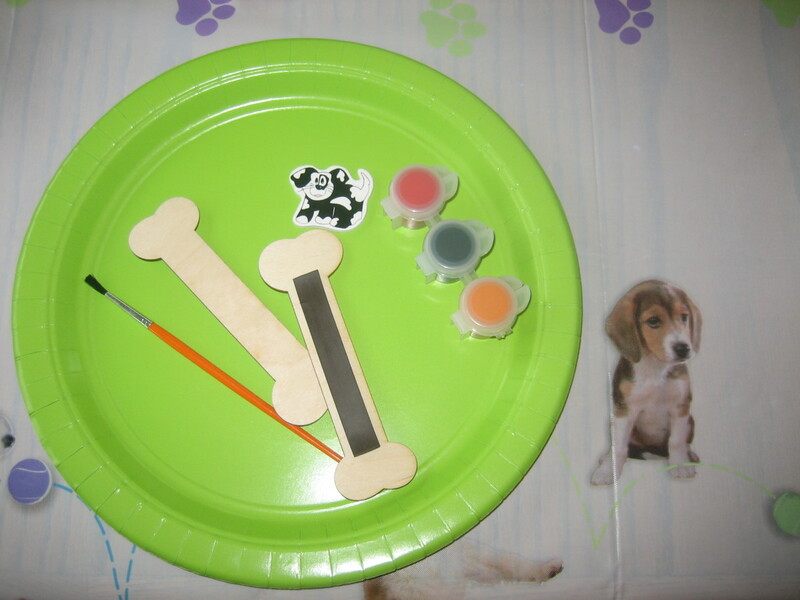 Other puppy dog party activities included a Pin the Paw Print on the Puppy game, a cute Toss the Dog Party Game and a Dog Bone Magnet Craft. 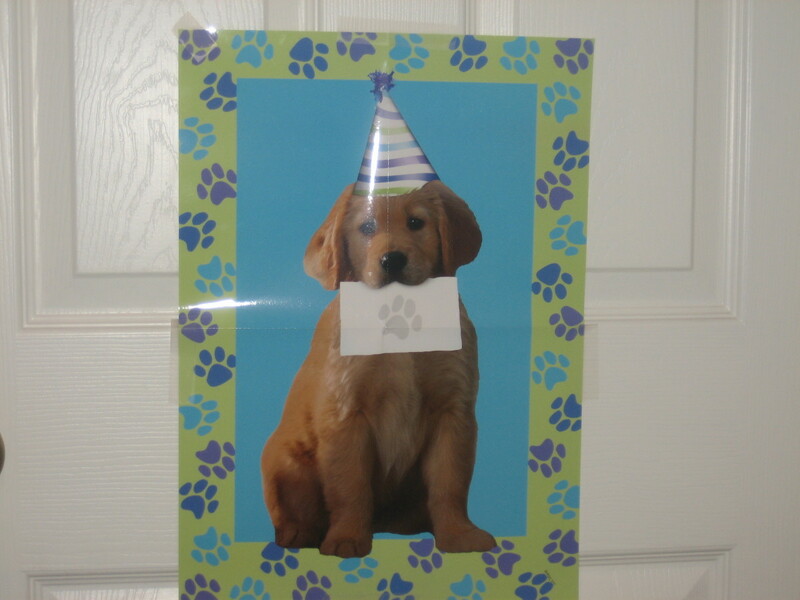 I hope this page helps you with your child's puppy dog party planning. The first item you need to decide on when beginning your party planning is the partyware design. There are a few different dog theme designs available on the market and my daughter chose the Puppy Party design pictured here. 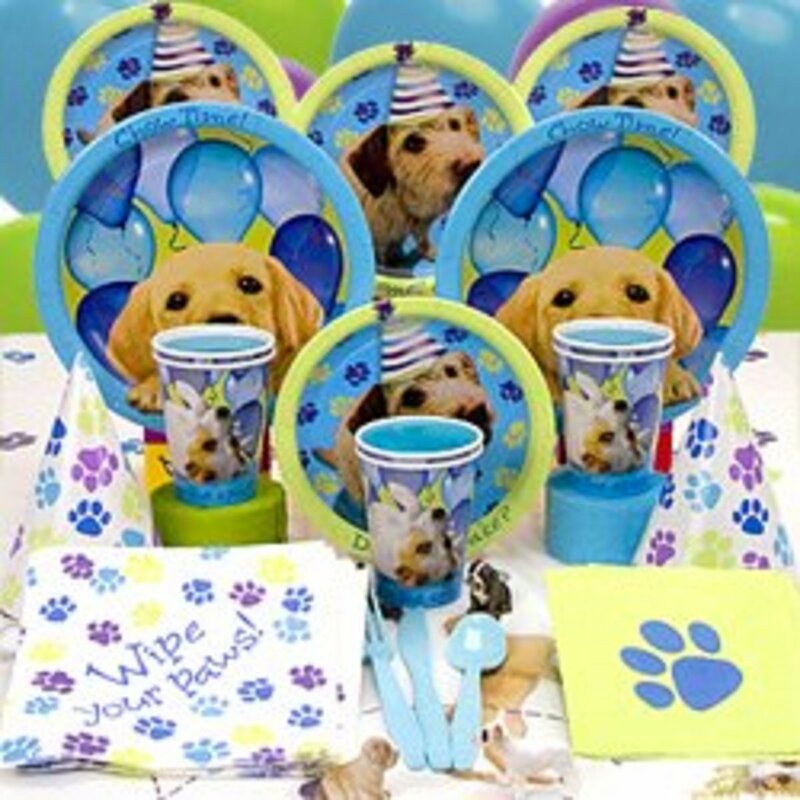 These puppy party supplies include party plates, cups, napkins, party favors, balloons, streamers, balloons, party games, decorations, centerpieces, invitations, thank you cards and more. 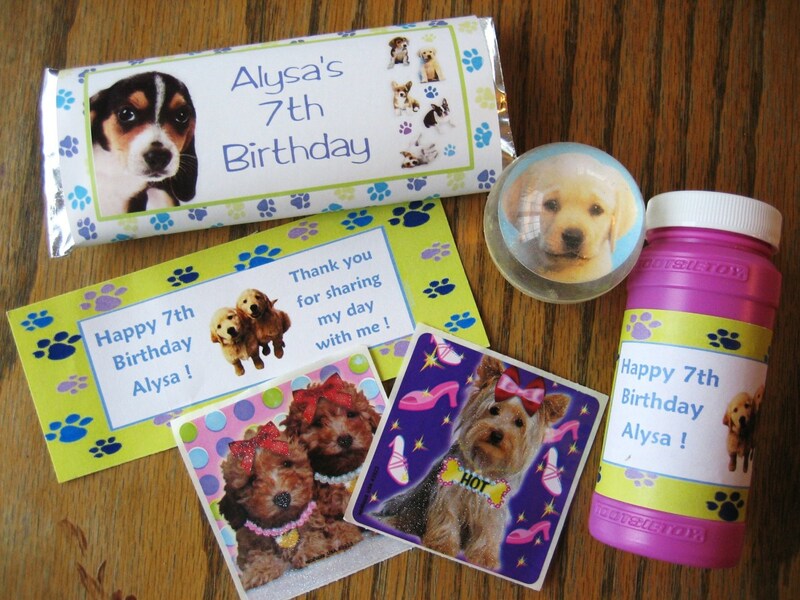 You can also purchase personalized puppy party supplies such as invitations, thank you cards, birthday banners, magnets, bookmarks, buttons, party favor bag stickers and activity placemats. This was my first time using a specialty cake pan. I purchased a Wilton Dog Bone shaped pan and followed the pan directions. It was actually pretty easy. Once the cake was completely cooled, I decorated it with icing tinted light green and then used green, purple and blue sprinkles on top. This coordinated wonderfully with the party theme colors. 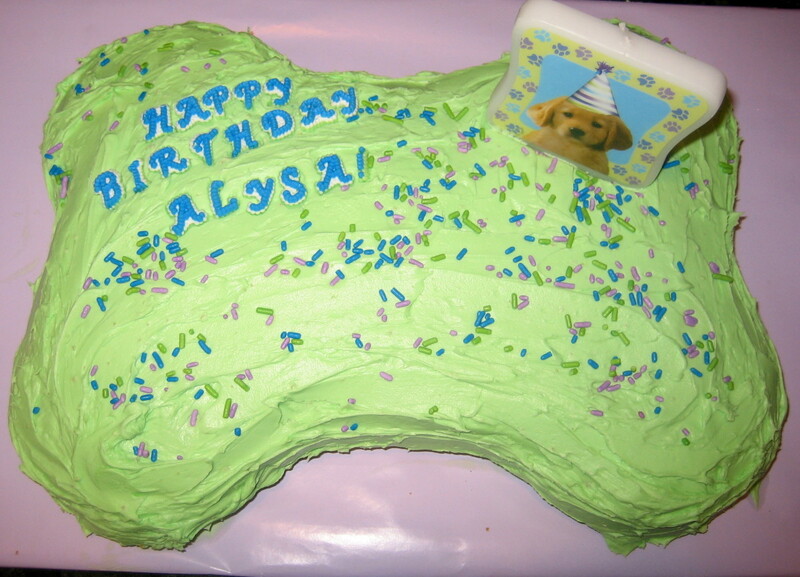 To finish off the cake I purchased a dog theme candle and letters to write out 'Happy Birthday, Alysa!'. I covered the cake board with lavendar wrapping paper. I think this looks much better than using tin foil because you can use a color that matches the theme. 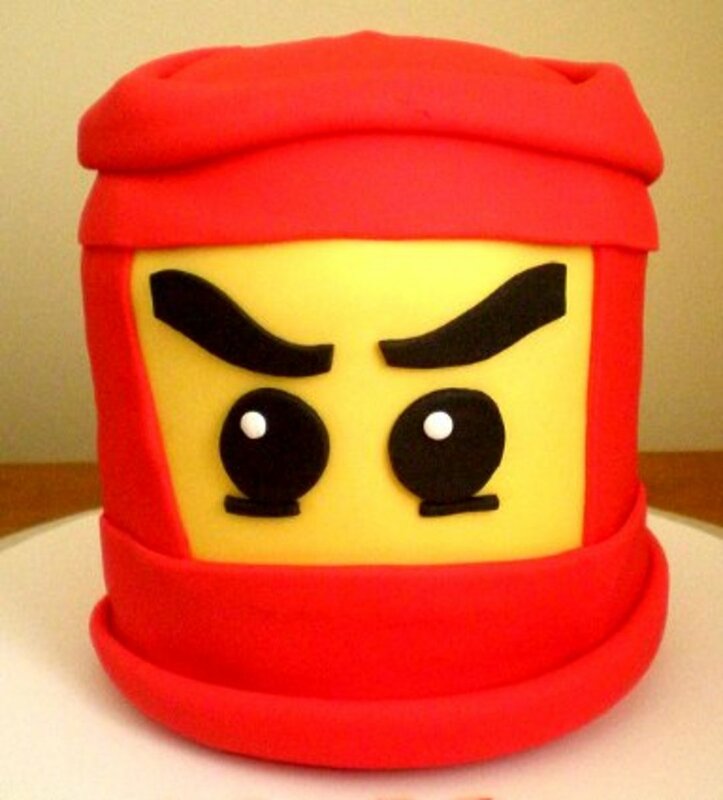 Everyone loved the cake and the parents were all very impressed! 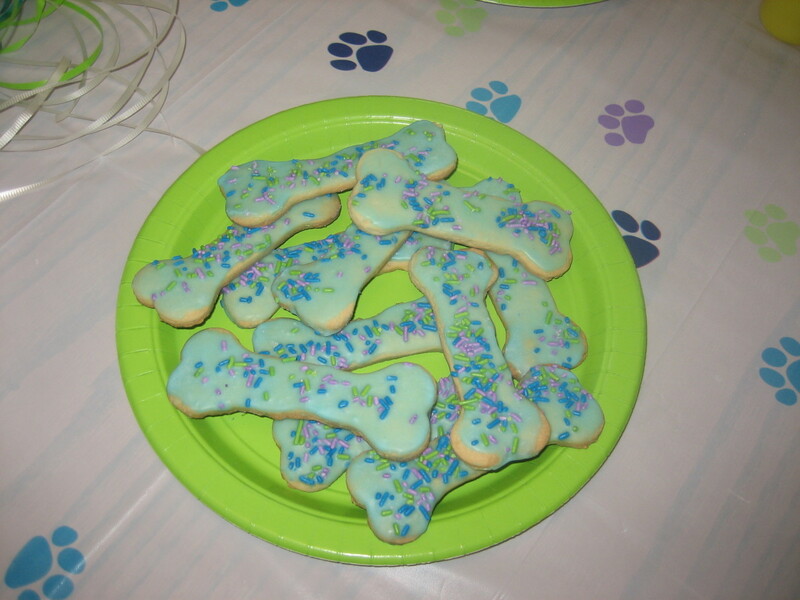 I also baked these cute dog bone cookies! I purchased a dog bone cookie cutter to create the shape. The sugar cookie and icing recipes that I use for my Sugar Cookies are listed below. They always come out delicious. After the cookies were cooled, I dipped them in icing tinted blue and added green, lavendar and blue sprinkles to coordinate with the party theme. *There are also paw print and dog bone candy molds available if you would like to make lollipop treats for your Puppy party. Granny's Sugar Cookies Recipe | Recipezaar - I make sugar cookies for almost every holiday. 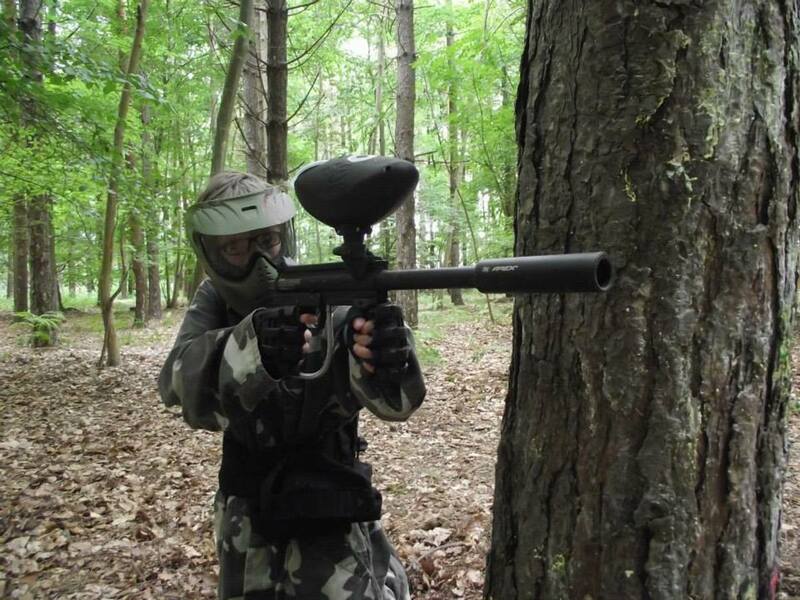 A lot of fun and the kids can help. This icing dries hard and shiny and the colors stay bright. Choose as many different food colorings as you desire. Finished Magnets. Didn't they come out great? 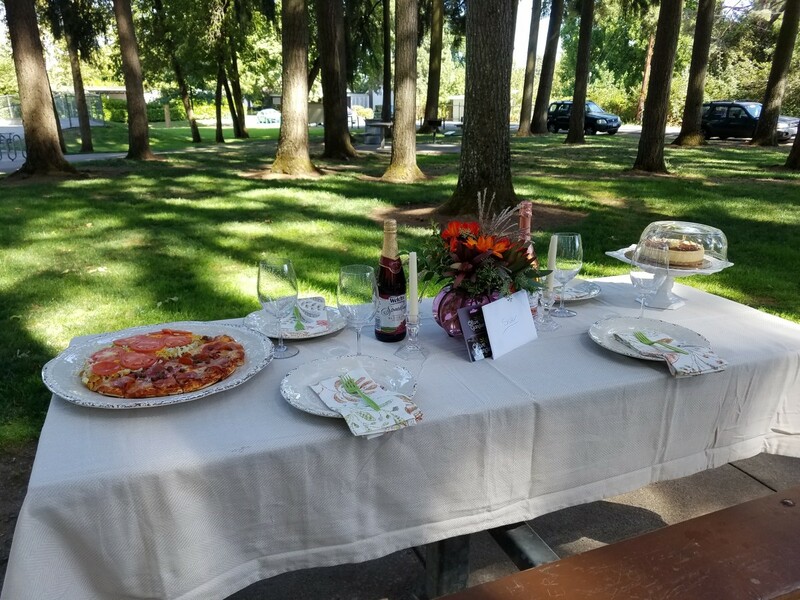 I set up all of the supplies on the party table with each place setting having everything they would need to create the magnet. I find it is best to have the supplies individually set up so each child can begin creating their project without having to find the supplies they will need. I even pre-cut the magnet strips and applied it to the back of each wood shape. 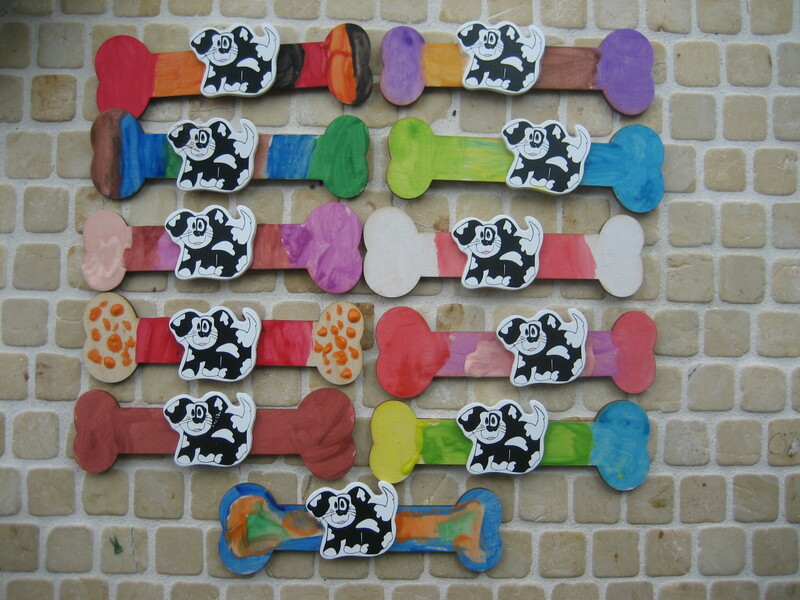 The kids painted their wood shapes and then glued on the dog embellishment. They came out so cute! There are many other things you could decorate these magnets with including rhinestones and stickers if you wish. 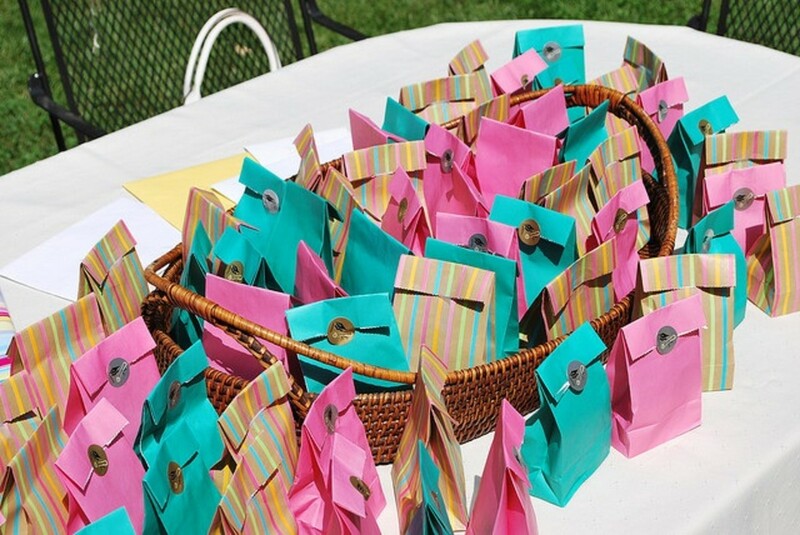 I attached a personalized favor tag to the outside of the bag which said, 'Thanks for coming to Alysa's Party!" 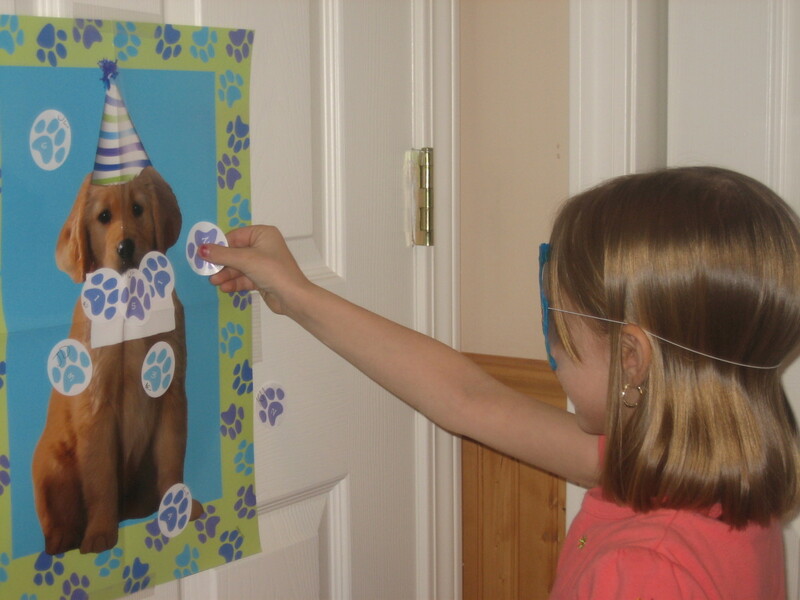 Pin the Paw Print on the Dog Game: This game is a take-off on Pin the Tail on the Donkey and was purchased along with my other partyware supplies. 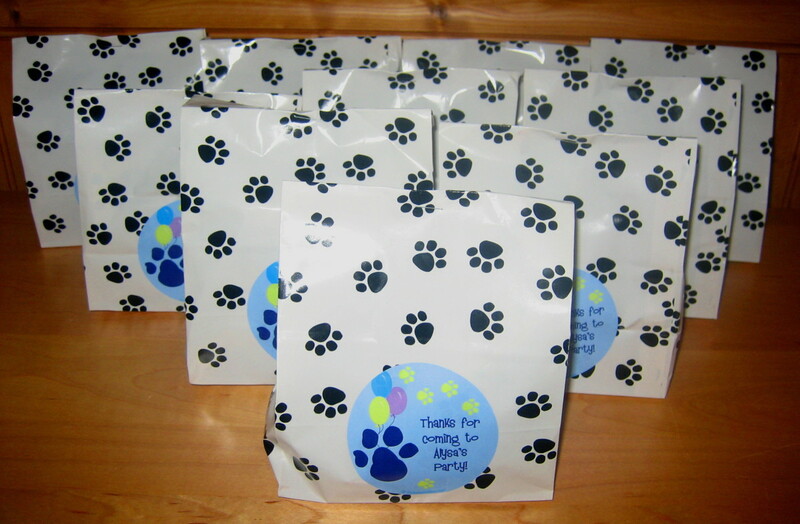 The guests each receive a paw print to stick onto the dog poster. Each child is blindfolded and tries to place their paw print as close to the specified spot as they can. 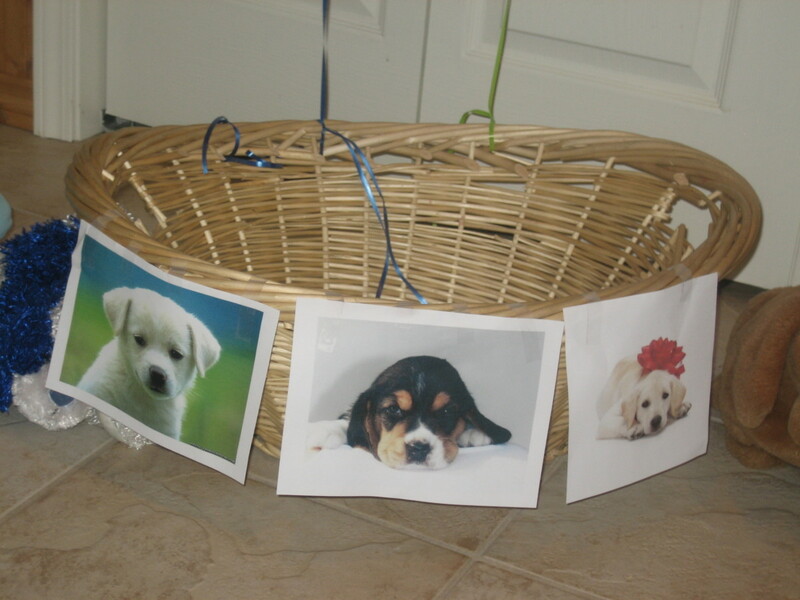 Toss the Dog: I used an old basket and my daughter and I decorated it with puppy images printed off of the Internet and attached two balloons to it for decoration. We then collected all of the plush dogs from around the house that we could find. The guests had to try to toss the dogs into the basket! Party Note: If you only have a few plush dogs, you can use small balls, bean bags or whatever else you can find. Puppy Bingo: We purchased personalized bingo cards in a puppy theme. The kids got into groups and we played Puppy Bingo! Pinata Activity: I have pinatas at almost all of my kid's birthday parties. 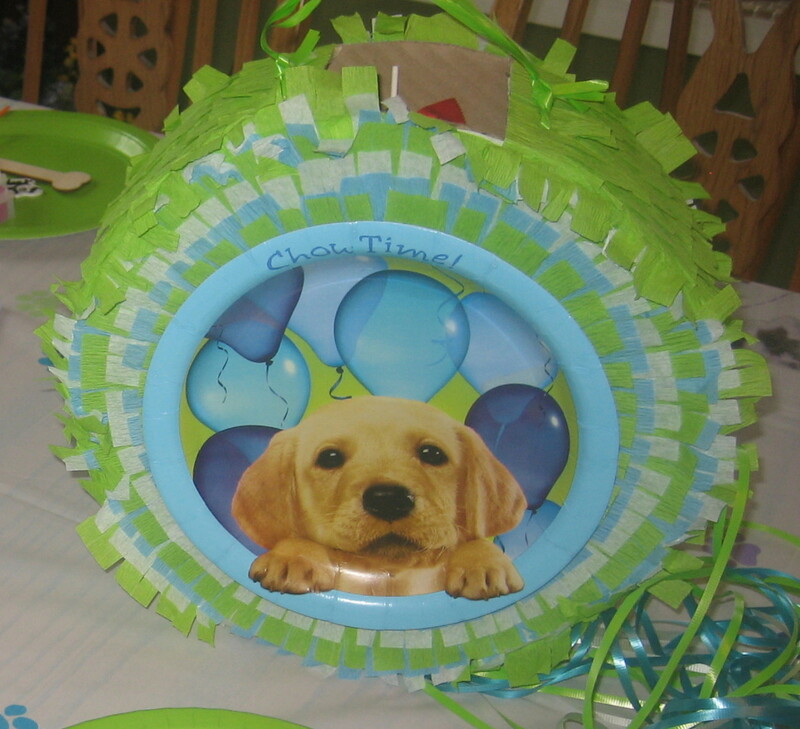 For the dog theme, we purchased a pinata that coordinated with the partyware. I like to have a fun party shirt or outfit for my kids to wear on their special day. 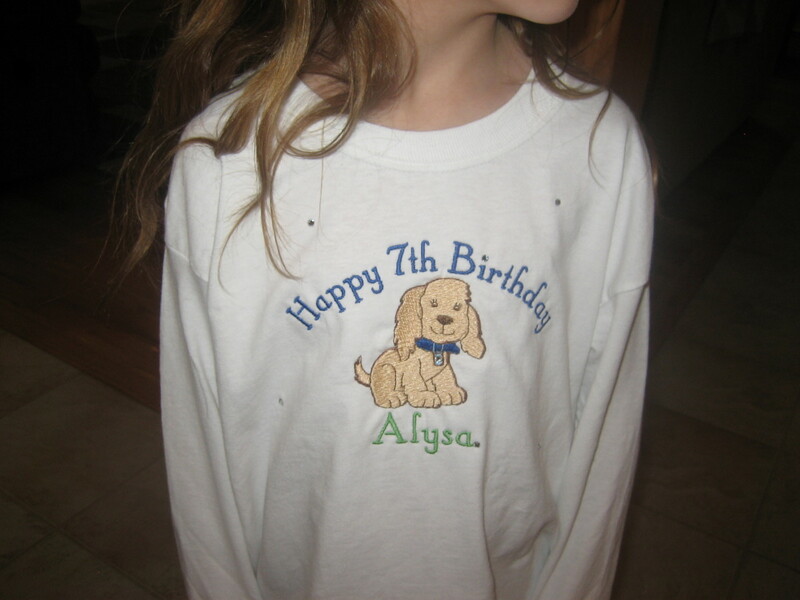 For this birthday party, I purchased a personalized puppy theme birthday shirt for my daughter. It was embroidered with her name and age and was designed in the same blue and green color theme. It was accented with sparkling rhinestones. Very cute! Lynne...I recently saw a craft that was making a bead necklace with a shrinky dink dog tag in the center. You buy sheets of shrinky dink paper at a local craft store, the girls decorate their tag, punch the hole, and bake them to shrink them down. Then they string them onto their personalized dog tag necklace. 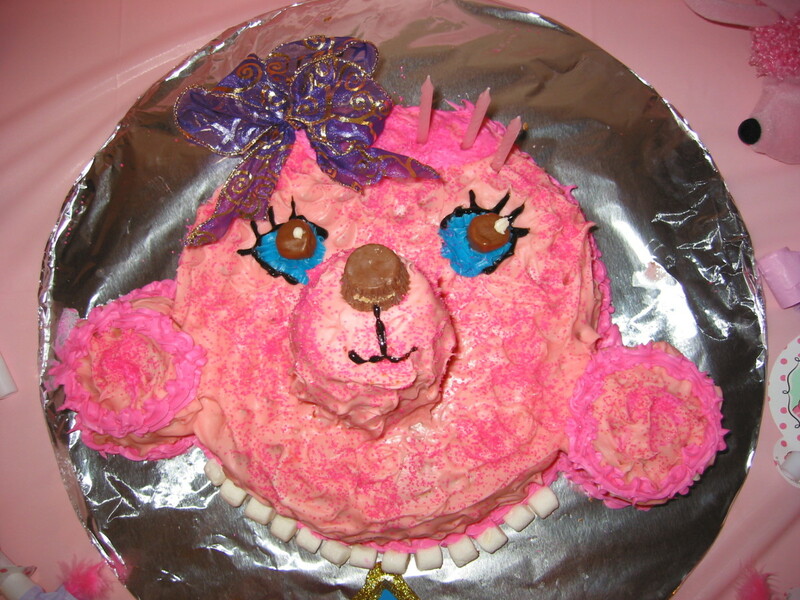 We are probably doing this for our daughters party craft since the guests are a little older also. They can make the dog tag with their name and any drawing they like. Lots of opportunity to be creative! My daughter is turning 9 and have a puppy/dog party & I don't know what type of craft they could do without it seeming too young. I really like your birthday ideas!!! How did your make the labels for the party favors? Where did you get the stickers? 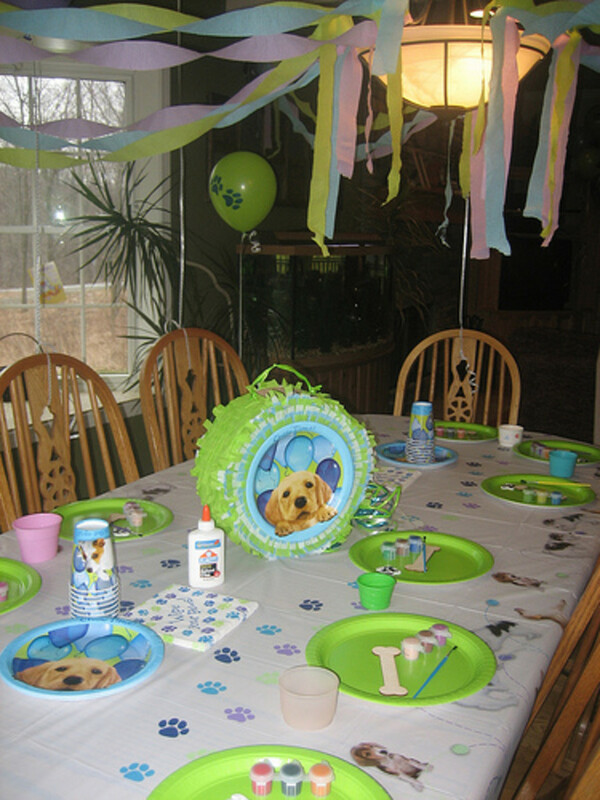 I am having the "Party Pups" theme for my dog's 2nd birthday party. I LOVE your favors. Is there any way you could tell me where you got the personalized wrappers for the hershey bars and bubbles from? I've found similar, but really like the ones you had. Thanks! 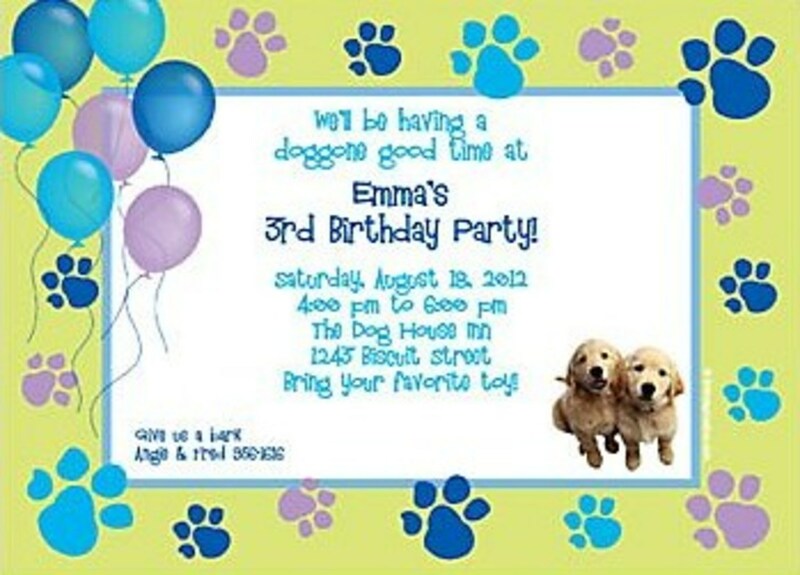 My daughter is having a dog party for her 3rd birthday! I enjoyed your ideas. All I could come up with was putting dip in a doggie dish and making doggie cut-outs as decorations. I love your ideas. The magnets are a nice idea! I am throwing a dog theme party for my daughter's 2nd birthday (she LOVES dogs) so that might not work this time around but the dog toss sounds doable with that age group. :) Your party favors are beautiful. I ordered a bunch of stuff (the dog balls, putty eyed dogs, red bandanas, dog hats, dog collar bracelets, personalized dog tag necklaces, etc.) from oriental trading. Just waiting for it to all arrive. :) I like that you had tags on the outside of the bags. I am so new at this as last year we just did the family party. :) Thanks for the help! Great ideas and executed well!! I had no idea there were so many "doggie" parties. 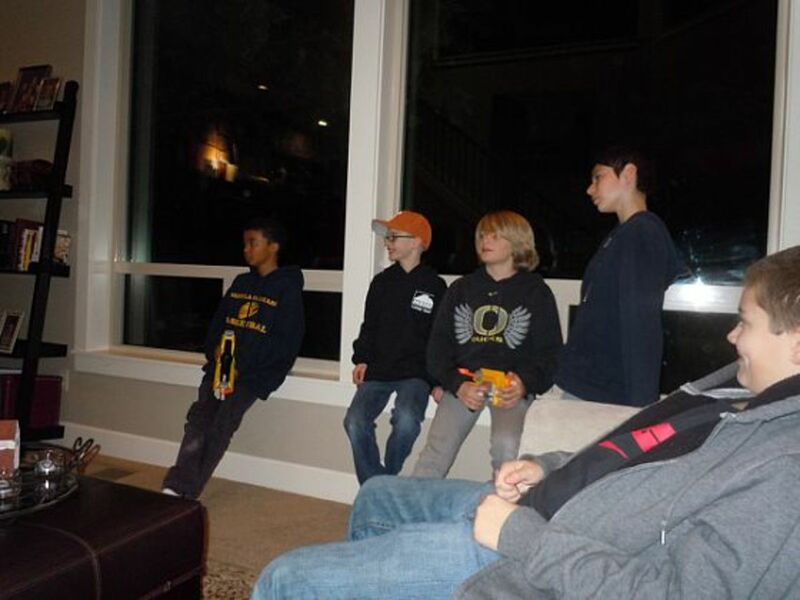 rayjake1, You could have another adult give you a hand and break the guests up into 2 groups. Then, each group will be playing a game at the same time so it will go a bit faster and there will be less time for the kids to get restless. What else are you planning for the party besides cake time? Are you serving food? Doing a craft? How long is your party going to be? How old is your daughter and the guests? If you can answer some of these questions, I may be able to give you some more tips. Now this is one party I can wholly endorse! lol Such a fun Dog party! I love the dog bone cookies! What a cute idea for a party.